The adage goes ‘that in London you are never more than 6 feet from vermin whether a rat or mouse’. Upon discovering an outbreak of rats, cockroaches or flies, you should immediately turn to professional assistance, which can be located with us. 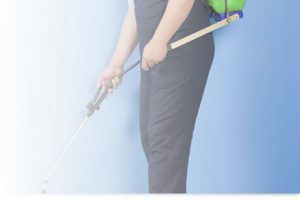 Removal of the infestation must be dealt with professionally and logically, ensuring the premises are pest-free and protected from future invasions. It is against health and safety regulations for anyone to work around unwanted animals and could potentially close business. As well as the health risks of tuberculosis, salmonella, gastro- enteritis, rat bite fever and wiels disease, there is also the issue of destruction with damage to wiring, pipes and cabling, which could cause flooding, power-cuts or fire. Infestations occur through all angles, and whether it is a busy-beehive, pigeons ruining the appearance of your building or irritable flies bothering you, clearance can be found with our service. We are firm believers in keeping a business running and meeting the required standards of health and safety in the workplace. We offer a full Pest Control service to alleviate the problem.